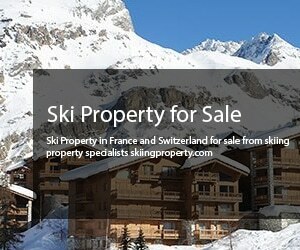 Investing in ski property in Switzerland is what most skiers, snowboarders and property investors aspire to do. The real estate market is buoyant and if you are searching for a good investment with capital growth there are some key areas in Switzerland you should be looking at now. Properties are shooting up from apartments, lodges and chalets which include new builds and off plan as interest in ski properties in Switzerland reach new heights. If your budget is a little on the tight side then why not consider a resale property? As they say location, location, location is paramount when choosing where to buy a property, but to be honest is there anywhere in Switzerland that doesn’t fit the bill? When choosing a resort take into consideration what the resort offers, skiing abilities, lifts and facilities plus the type of property you want and serves your family. Zermatt – is not for the faint hearted its ski terrain at altitudes between 2,500 – 3,900m and it is the highest winter sports are in the Alps. Two countries and three resorts are linked by a 360km trail. Set in picturesque surroundings you can ski and snowboard here year round. St Moritz – is one of the most established resorts in Switzerland and suitable for all levels especially intermediate with superb very long runs. The winter Olympics has been held here and it’s known as a rather glitzy resort. Jungfrau – is best known for its 206km of slopes and runs and reliable snow. It is also home to the highest railroad station in Europe at 3,454m. Saas- Fee – has 26 trails which cover 96km plus 37 km of beginner trails suitable for beginners and intermediates and a daring 23km for the advanced skier. Snowboarders have access year round, this resort is ideal for families. Davos/Klosters – offers an astounding 300km of perfectly groomed runs which are suited to intermediates, however the off piste is challenging for even the best skiers. The longest run is 13km and with 140km of cross country ski trails it’s a great ski resort. Crans Montana – is served by 27 lifts over 140km of wide runs and slopes plus 70km of trails ideal for intermediates. For beginners there are 55km of easy runs plus for children the covered magic carpet is new making this resort excellent for families. Verbier – is the big one for the advanced and expert skiers, off piste skiing, country terrain is both difficult and challenging and it has one of Europe’s steepest descents. There are more than 410km of runs all served by 93 lifts. Gstaad – has a total of 220km of pistes and snow parks and the terrain reaches 3,000m, 57 lifts serves this huge area. 128km of beginner’s slopes and 60km for intermediates with the rest keeping the advanced skier stimulated. Andermatt – this is going to be the next big thing and it will be the largest ski area in central Switzerland. New lifts, high speed chairlifts, gondolas, new ski trails all add to making this area one to watch. 90km of intermediate runs and good snow means this will be popular. Flims Laax Falera – is favoured by the snowboarders in particular with 4 snow parks and at 200m is home to the longest half pipe in the world. 235km of pistes, 64km easy, 70km intermediate and 46km advanced plus 44km is freeride and to top it off it is only 90 minutes from Zurich. This resort is ideal for everyone with superb ski properties in Flims it’s a winner!